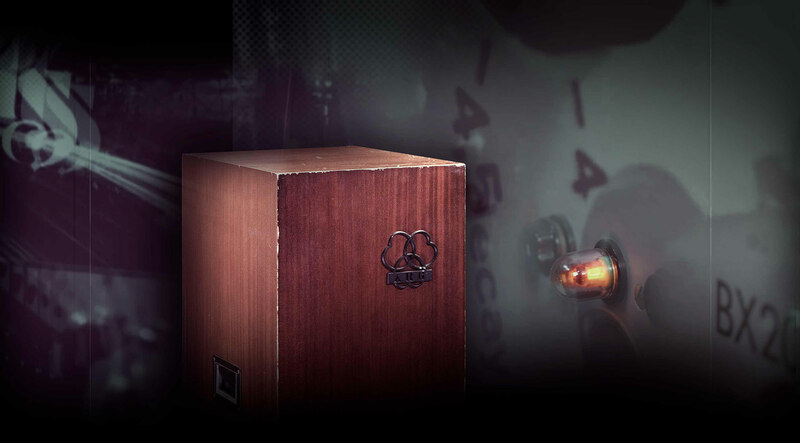 The only AKG-licensed emulation of this one-of-a-kind spring reverb. 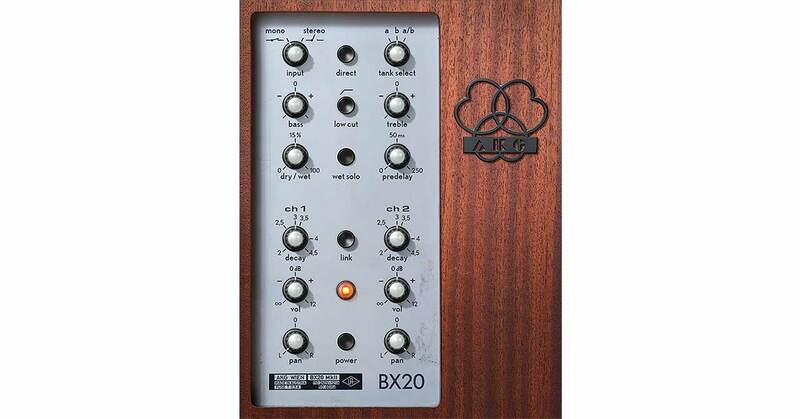 Introduced in the late 1960s, the AKG BX 20 reverb was a high-water mark for AKG’s esteemed engineers. An ingenious assembly of mechanical and electronic componentry, the BX 20 offered the glorious depth and color of spring reverb without any of the limitations. The AKG BX 20 Spring Reverb plug-in for UAD-2 hardware and Apollo interfaces is exclusively endorsed by AKG Acoustics, Austria and envelops your sources in gorgeously dark, dense ambience that only spring reverb can provide. Featuring the AKG BX 20 Spring Reverb. The AKG BX 20's utterly unique character makes it a versatile tool for ambience as well as tone shaping. Its sonic personality features the quick onset of a classic plate reverb, and also the natural-sounding density and diffusion of a chamber — with little of the flutter or “boing” artifacts common with other spring reverbs. Unlike other spring reverb emulations, Universal Audio's hybrid delay network/convolution design provides the only plug-in representation of this mechanically controllable, acoustic ambience system. To that end, UA obsessively emulated a “golden unit” BX 20 from legendary producer, Jon Brion. The BX 20 plug-in expertly captures the hardware’s unique two-stage decay. This yields warm, organic sounds whether it’s applied on percussion, vocals, or guitars, adding a unique timbre that can make individual tracks stand out — or melt away — in your mix. Short textures are chock full of colorful depth and dimension, while longer decays are rife with lush three-dimensionality, while never washing out. The BX 20 plug-in provides the complete sound and features of the original, plus new "Mk II" features for an expanded sound palette. Tank Select provides the exact sound of the original A/B dual tank system, but includes a “stereoized” tank A or tank B, for more balanced stereo imaging. The Direct function allows you to mute the tank's direct signal for more control and minimizing conflict with the source audio — perfect for buses. The Baxandall-type tone controls — borrowed from the smaller AKG BX 10 — offers the last bit of seasoning to tailor your reverbs.